Hello friends! 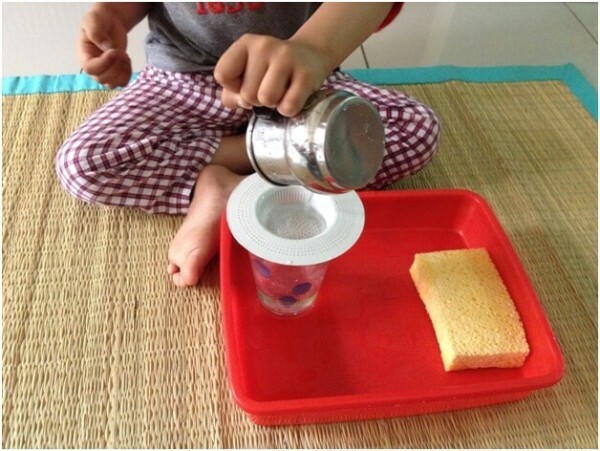 Welcome to part 2 of “How to start Montessori at home?” If you missed out on reading part-1, please read it here, before moving on to the second part. 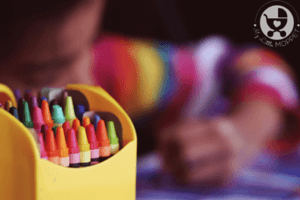 Today, I would like to introduce one of the most important aspects of Montessori philosophy – the need for order. We all crave some kind of order in our life. It makes our life simpler and happier. And by order, I do not mean something that puts us in a strict, military environment, but rather something which is natural, which makes our life more functional and less chaotic. It is important for a young child to have some order in his life. 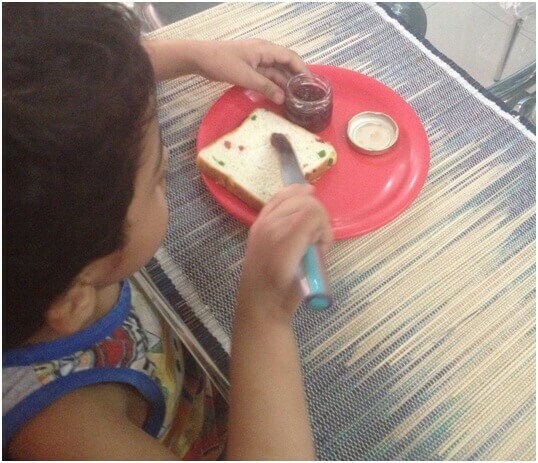 A child finds great satisfaction when he sees a similar routine followed for him every day. It helps him to gain a sense of belonging. When he sees that he has a special place in the house for his belongings, it puts him at ease. He sees that his toys or activities have a special spot. His clothes are neatly tucked on a shelf. 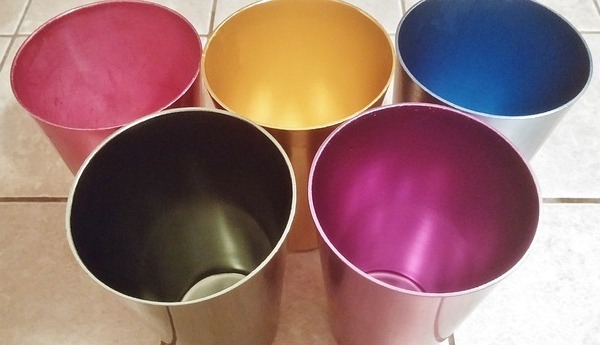 He has tools and cutlery in the kitchen that he can use on his own – like his drinking cup, a pitcher, a napkin to dry off the spills, so on and so forth. 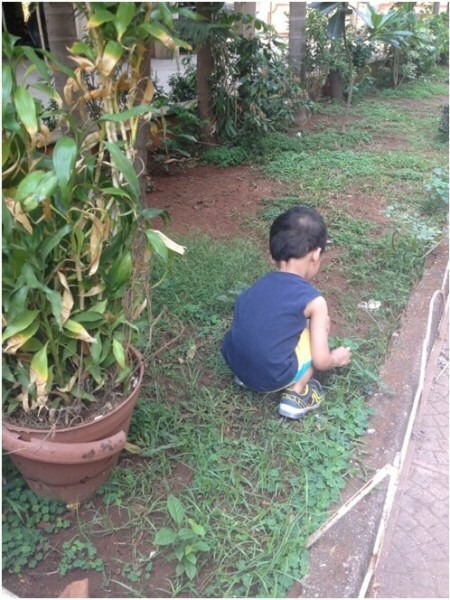 This sense of order encourages the child to value and respect his surroundings, besides making him less overwhelmed. 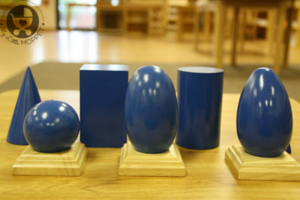 Most Montessori materials are either self-correcting or include a control of error. The motivation to get things right should come from an internal, natural desire to learn, rather than from an external consequence (like getting a star sticker for doing an activity right or a punishment for misbehaving). As parents (and teachers), we need to slow down and match the child’s pace. It is easy to correct the child, or show him his mistake. But in doing so, the child has lost out on an opportunity to recognize the mistake and self-learn. Hence it is very important to allow the process to unfold naturally. Over the years I have observed that my son loves his space, and I need to respect that. This doesn’t mean that you do not sit with the child or help him! Have fun, open-ended conversations. 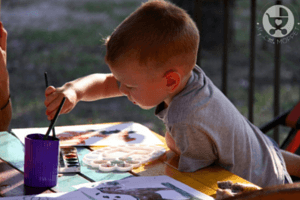 Paint or do an activity together. The child needs to see that you are involved in his learning process. However you need to know when to be an active participant and when to be a silent observer. Again, this is something that one can know by observing the child closely enough. As adults it is natural for us to finish our tasks quickly, as we want them to be ticked off our list. Things like putting shoes for the child, dressing him up, feeding him his meals etc. And in doing so, we often hurry the child’s natural desire to learn to do these tasks for himself. We need to (try) and slow down and match pace with our children, instead of being in haste all the time. 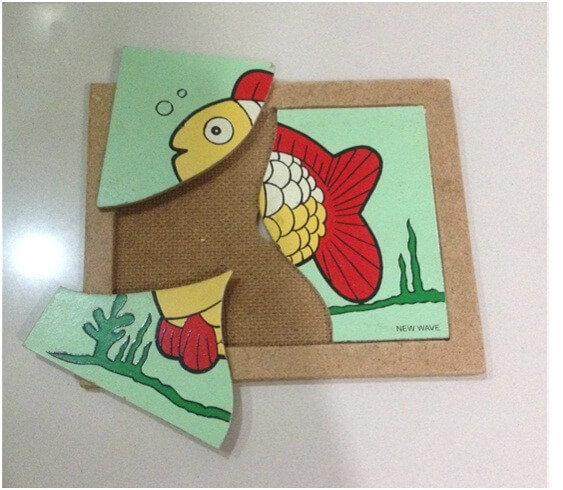 Again, this is very difficult (and requires a lot of patience) – but surely worth trying! In our fast paced life we are constantly moving, fidgeting or thinking. This in turn distracts us from observing our children fully. We miss out on cues that the child is trying to give. We also try to direct or lead our children instead of allowing them to direct themselves. One of the most challenging task for a parent is to step back and pause. 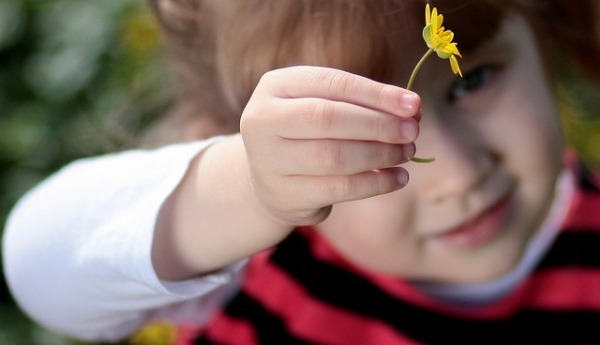 For a change, we need to stop our inner desire to help or interrupt a child, unless asked. In doing so we are taking away the child’s natural, innate quality of self-discovering an activity. It is not possible to explain this as a part of an article, as this is a topic by itself. But I would like to touch upon this, as it is one of the most important aspect of Montessori philosophy. Do we really need to teach our little children these values from such an early age? I would leave that to you as a parent to decide. Little children are absorbent and adaptable, and quickly imbibe whatever good (or bad) things they observe in their surroundings. This is a golden rule that I have learnt during my home-based Montessori journey. I am far from being a minimalist, but I have seen that a child is less overwhelmed and less cranky when there is a sense of order in his surroundings. This automatically trickles down to the amount of things that we make available to the child. 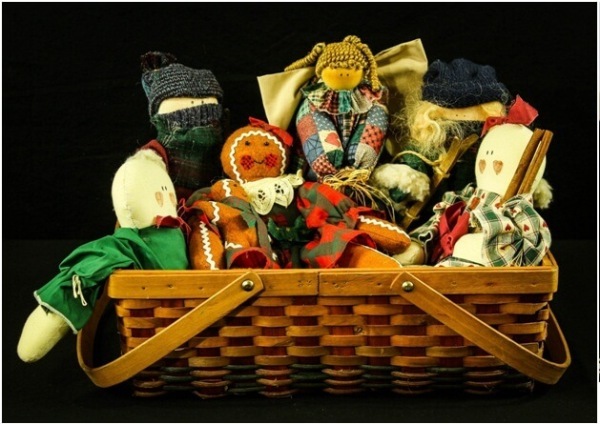 We can help the child by not giving him too many toys at a time. It is also very important to store and organize supplies and bring them out as and when the child shows interest in them rather than giving everything at one go to the child. (Toy rotation definitely helps). Here is a little task for you for this week! Once sorted, declutter the space, store and organize. You will see an immediate effect on how good you feel about your home. Not to mention how happy and less overwhelmed your child will feel! 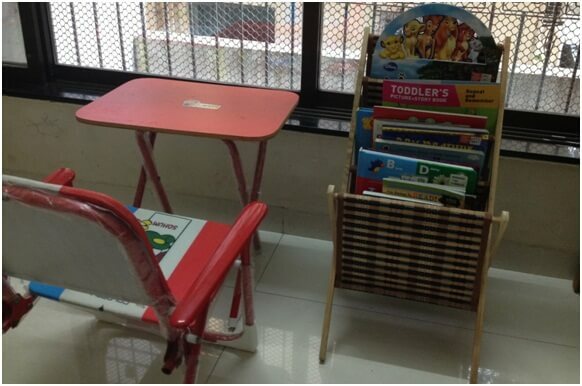 Another great way of establishing order in child’s environment is by giving him a space (either a small shelf, basket or a box) to keep his belongings – this can be for his toys, clothes, shoes etc. Encourage the child to keep his belongings where they belong. This indirectly tells the child that you value and respect his toys, and he will soon follow. Tidying and cleaning up after oneself are great life skills. It teaches a child a lot more than just putting a toy away. This won’t happen in a few days, but is a process – some days the child will do it, some days you will need to do it for the child. Some days you will have to do it together. But either way, you will have an environment at home which looks positive, non-cluttered and inviting! 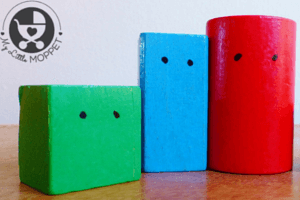 How can I make my home child-friendly in a Montessori way? Imagine how frustrated a child must be feeling when he is not able to reach a basin. He will feel more restless when we try to hold him tightly and wash his face or hands. And this is one reason why children escape from the idea of brushing their teeth or washing their hands. Instead, give the child an opportunity to step on a sturdy stool and wash his own hands. Show him how to apply soap. Hang a napkin at his level to dry his hands. Assist him in brushing teeth whilst he is standing on the step stool. 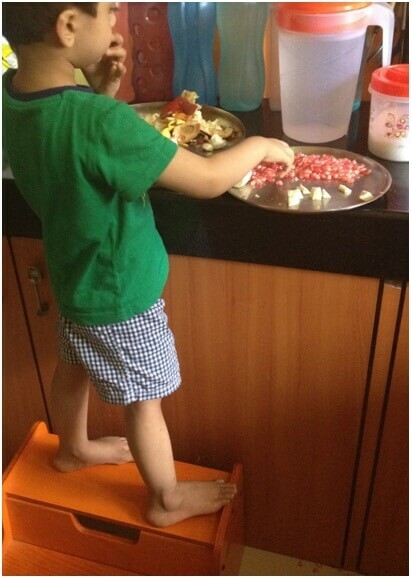 Let the child use the step stool to reach the kitchen platform as well. This way he can help you in prepping meals without feeling left out! Keep a small pitcher with clean water and drinking glasses at your child’s level. Show him how to pour water for himself. Keep a cloth handy and show him how to wipe the mess if water spills. You can start off with steel utensils, so you are not worried about breakage and/or the child getting hurt. Have a shelf in your kitchen dedicated for your child’s cutlery (at his level), where he can access his cups, plates, snack boxes. Don’t overwhelm this space with too many options; keep it minimum. 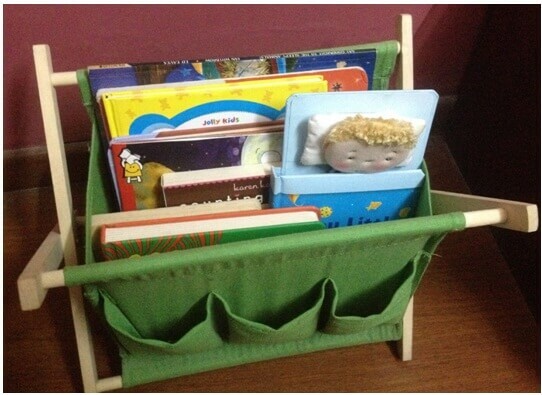 Use boxes or baskets if you do not have a book rack or shelf. Keep few books out as per your child’s interest. Encourage (but never force) the child to keep the book(s) back after you are done reading them out. This is meant to be a place where the child can eat or do his activities – you can even use a rug or a mat if you do not have a table and a chair. This list is in no way meant to overwhelm you, but just to assure you that you do not need expensive toys, a lot of space or furniture to set this up. All you need is to do a little bit of re-organizing of your home layout. 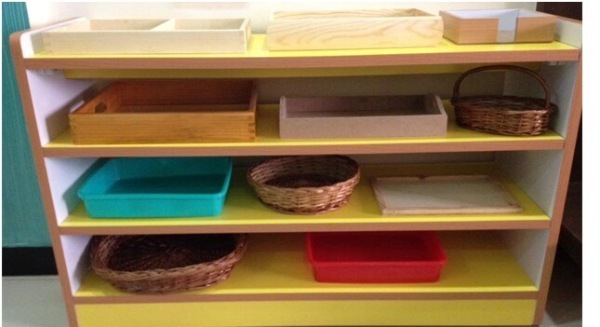 Remember a very important Montessori aspect “Children thrive on a sense of order”. 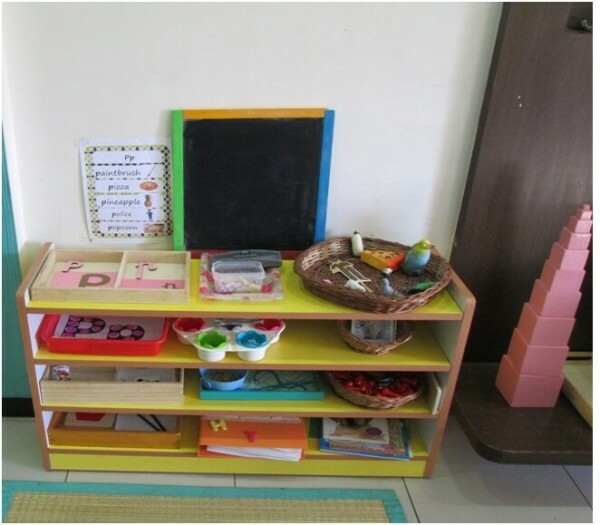 Provide a beautiful, orderly environment for your child to explore and nurture. Start slow. Be flexible. Do one thing at a time. This is a lifestyle modification and you cannot achieve it in a day or a week or a month. See what works for you, your home situation and your child, and take it from there. Leave out things that you feel are not practical or possible at this point of your life. It makes a big difference when parents, grandparents and teachers have a similar outlook to bring out the best in a child. For example, if a child goes to a school which imbibes values of praying before meals and taking care of one’s belongings, he would want to do the same back home. It makes it less complex for the child if there is some kind of synergy between the school and home environment. The child needs support, help, mindful time, love and affection from parents, grandparents and teachers in order to bloom. Tonight set aside some time to think about what you would like to change in your home environment to help your child. Jot down some simple non-academic goals. What is it that you would like to instill in your child? Is it about giving them a strong foundation at home that will help the child to learn with joy? 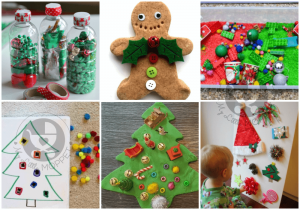 Is it about fostering the child’s imagination and creativity? Or is it about reducing screen time and instead creatively engaging your child otherwise? Is it about helping the child to calm down or about teaching him compassion? Whatever you wish to achieve, I would request you to write down your goals and get clarity on what it is that you really are looking forward to achieve. Once you know what is missing (or what needs to be implemented), you can move in that direction. I hope this article has given you some sort of starting point on where to begin. It’s best to have a “supermarket approach” to any article you read or a video you see; i.e. take what you like or what you think will work for your children, and leave out the rest. After all, you are your child’s motivator, his world. You have the special privilege to build up his amazing life, so make this journey joyful and an amazingly memorable experience for you and for him! 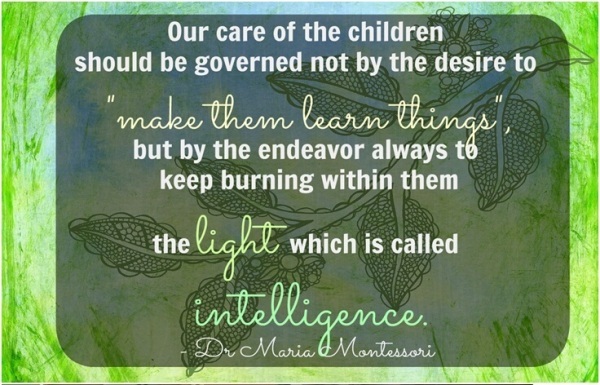 To sign off, I would like to add that Montessori isn’t just about the materials. It isn’t about how soon a child can read or write. It is more about how happy and confident he is and how eager he is to learn and explore. One can buy the most expensive Montessori supplies, but they are of no use if the child has no desire to explore, create or play. I believe that a firm foundation for the child begins at home, and a mother is the child’s first teacher. Always remember that the art of Montessori lies in giving the child an opportunity to become an independent, creative human that he aspires to be! If you’re new to Montessori, be sure to check out our first post about Introduction to the Montessori Method. 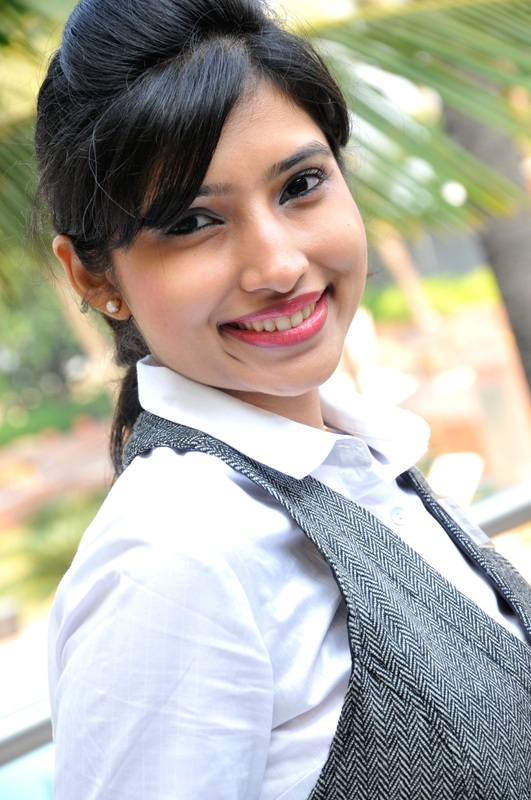 Amruta Ram has pursued her post-graduation in Marketing & Cosmetology.She used to be a professor at a reputed college in Mumbai, before going on to head PR and Marketing for an International cosmetic brand. After the birth of her child, she extensively studied the concept of early learning, gentle parenting and Montessori. She left her high-profile corporate job to pursue her passion for Early Learning. 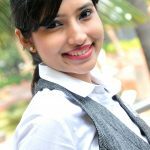 She is the first Indian mom to start a YouTube channel on Early Learning and Montessori! She loves to document her Montessori – inspired journey on her channel and has helped 1000’s of moms to enjoy this journey at their homes. She also blogs at www.mummadiaries.com where she offers Free Printables for toddlers and preschoolers. I would not any particular brand but you can give products that are organic.